As summer rapidly approaches, there’s only one thing to do besides plan that first beach trip of the year—get new gear. 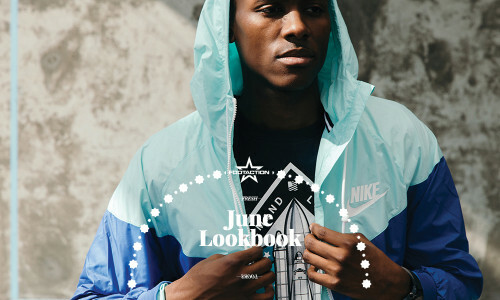 Our new June Lookbook features brands like adidas, Civil and Asphalt Yacht Club have all brought out their best to the table in order to keep you cool even on the hottest day of the year. The only ones that’ll be sweating this year will be the haters as you rock the newest styles from Rocksmith, Fairplay and Hustle Gang. And for those cooler summer nights we’ve got you covered with some lighter shells by Nike. This weather’s heating up, make sure your gear does the same. Print article This entry was posted by hhcblog on July 25, 2015 at 10:35 am, and is filed under Footwear. Follow any responses to this post through RSS 2.0. You can leave a response or trackback from your own site.